You’re expecting! Congratulations! Among a million other things you’re thinking about – you are trying to prep for your little addition. 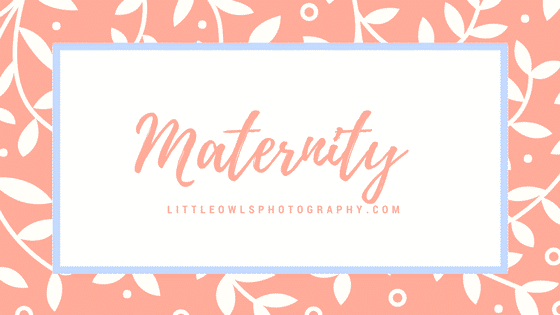 Most likely the last thing on your mind is having a maternity photo session – right? You may think you can’t wait until your pregnancy is over but now is the time to document it! Many women mention that they feel their best during pregnancy – so now is your time to shine and put that pregnancy glow to good use. If you are one of the soon to be moms that doesn’t feel their best, trust in me to show you how beautiful you are. You’ll most likely have those belly bump shots every month against a blank wall with your phone, but wouldn’t you also like to have professional photos of you and your husband freezing this moment in time? Whether this is your first child or your sixth – this is a great time to celebrate the foundation you’ve started and the family you’re creating. Look how far you’ve come! From when you first met, to now adding a member to your family – it’s a wonderful keepsake and a magnificent moment in time to remember. Once your little bundle of joy arrives – life will never be the same. By having your maternity photos taken you can “remember when”. In addition, this is a great time to get an updated family photo as your next family photos will include your new one held softly in your arms. Pregnancy carries so many emotions but one of them is excitement and anticipation. Capture the moment now so down the road you can recall how excited you were and remember it gladly. This is one of my favorite photos to take – when a maternity session reveals the gender and/or the name of the baby to come. Others love finding out this information through photos – and it’s a great memory for you to look back on as well. Contact me today for your maternity photo session so that you can create photos that will last a lifetime.